So, Wade Miller gives Paul Wiecek the brush off—not once but twice—and you probably don’t care. Well, okay. It’s agreed: Let there be no sympathy for the devil or the media, who, in the minds of many, were separated at birth but remain close kin. Except we should care, if we care about the Winnipeg Blue Bombers. It matters not if you are a fan of Wiecek’s work in the sports section of the Winnipeg Free Press, or if you consider his scribblings to be alphabet excrement. Wiecek’s worth as a wordsmith is not at issue. The reality that he twice requested an audience with the chief executive officer of the Bombers in recent days and twice was told to get lost is the issue. Wiecek—again, appreciate his journalistic contributions or not—is an agent of Josephine and Joe Phan. He has access you don’t enjoy. 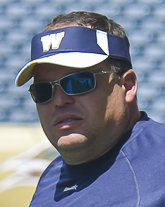 When things go south for the Bombers, which had been the case until the blind squirrel found an acorn in Edmonton on Thursday night, he’ll want to tell you why. Sometimes he’s inclined to believe that requires a word or two from on high and, with the Bombers, you don’t get any higher than Miller. Oh, sure, the CEO supposedly answers to a board of directors, but, since the BOD answers to no one, no one actually answers to anyone. This, of course, is a peculiarity of the Winnipeg Football Club. No person owns the Canadian Football League franchise. No entity owns it. There are no shareholders. It just is. Yes, we like to think of the Bombers as community owned. A team of the people, by the people and for the people. Well, that’s a romantic notion with a side order of naivete. The club is community owned like Miller is Mr. Rogers. Thus, if he chooses to establish himself as feudal lord of his own personal fiefdom, so be it. He can be as prickly, standoffish, dismissive and as unreachable as suits him. Miller is bottom line, not bosom buddy. The CEO doesn’t feel the need to cozy up to Wiecek or any other news scavenger, because that’s the way of the sports world today. Professional franchises have in-house emissaries who spread the word, using the club’s language. No muss, no fuss and no touchy questions on touchy subject matter. Like a head coach’s best-before date. I doubt very much that Wiecek sought to satisfy some deep, personal need when inquiring about Mike O’Shea’s shelf life or if the head coach had accomplices in the decision to replace starting quarterback Drew (One Hop) Willy with Matt Nichols. He was doing his job so that he might inform and enlighten the rabble. So, in turning heel and walking away, Miller, the official mouthpiece of a supposedly community-owned team, was telling the Freep sports columnist that Blue Bombers’ business is none of his business. By extension, he was telling everyone in Bombers Nation the same thing. That’s interesting because, last time I looked, the football club was still called the Winnipeg Blue Bombers, not the Winnipeg Wade Bombers. Look, no one expects Miller to be at the media’s beck and call 24/7. He isn’t required to answer every question about the football club’s soft underbelly, either. It’s his choice. But being a jerk is also a choice. 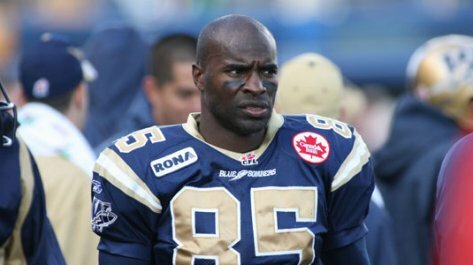 Good on Milt Stegall, the next inductee into the Bombers Ring of Honour. Never mind that Milt, unlike his fellow ROH members Chris Walby, Ken Ploen and Gerry James, never brought the Grey Cup home in his 14 seasons with the Blue and Gold. Nobody ever looked as good losing as the Turtle Man. Just ask him. We’re told that longtime Wheat Kings’ Mr. Everything, Kelly McCrimmon, is prepared to trade Brandon for a team to be named later. That, of course, would be the National Hockey League expansion entry in Las Vegas, where Kelly Mac would sit at the right hand of general manager George McPhee. If those reports are accurate, Manitoba is losing a genuine hockey icon. Remember one thing, Kelly: What happens in Vegas stays in Vegas, so if you rub elbows with Wayne Newton or Celine Dion we really don’t want to hear about it. 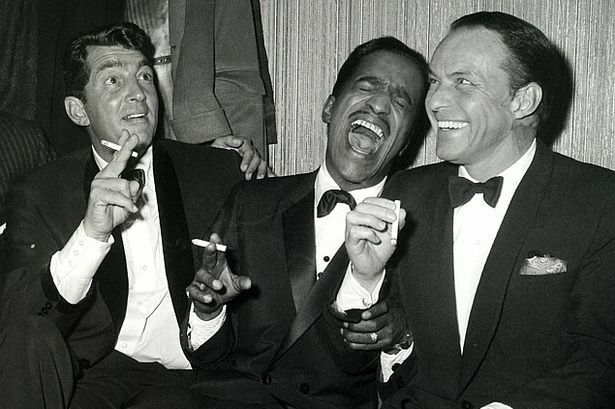 The Rat Pack’s big three—Dean Martin, Sammy Davis Jr. and Frank Sinatra. Rumors persist that the Las Vegas team will be named Knights or Black Knights, although in a Las Vegas Review-Journal poll readers chose Outlaws as the preferred handle. I’d still go with Rat Pack. You can’t go wrong saluting Sinatra, Dino, Sammy and the boys. I don’t know about you, but I got a rush out of watching chuteless skydiver Luke Aikins jump from an airplane and plummet 25,000 feet into a net on Saturday. That was the most spectacular fall I’ve seen since Tiger Woods. Just for the record, Aikins’ two-minute freefall was not the longest in history. The Toronto Maple Leafs have been in freefall since 1967 and the Winnipeg Blue Bombers since 1990.